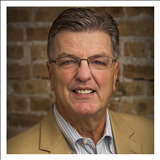 Bill de Jonge is a broker with the Real Estate team at the La Grange Office of Coldwell Banker, Chicagoland's leading brokerage. Coldwell Banker is a solution driven company that provides state of the art marketing programs, leading-edge technology and a client focused management team that is essential to achieving excellent client satisfaction. "LEAD, FOLLOW OR GET OUT OF THE WAY"... WE LEAD!!!!! Bill de Jonge has combined his corporate financial background with a successful 14 year career in residential real estate to give him a unique perspective on servicing the market. If you are considering a move in the future, give Bill a call and he would be happy to outline our leading edge services and my personal qualifications for you. If not, you may know of someone who is. Please feel free to pass on his information to them.